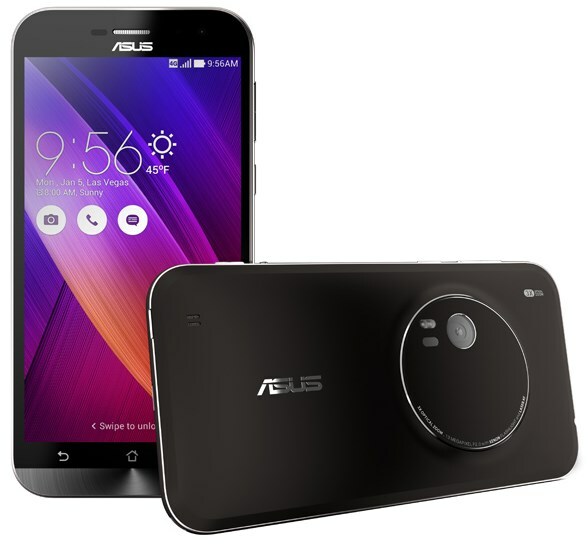 ASUS has finally uncovered the secret of the past days and presents the new ZenFone 2 and ZenFone zoom. In fact, the blast is certainly the new ZenFone 2 as expected and packs with 4 GB of RAM. Whether useful or not, ASUS sets a new benchmark in this area. The rest of the equipment is also not to be despised. The favorable ZenFone 2 is already to be had from $ 199 (with contract? I'm not sure), market launch in March. A challenge from ASUS, otherwise you can not rewrite the devices. Through various notes was previously already announced that ASUS presents a device with optical zoom. This is similar, at least at the back of the strong Lumia smartphones with a huge camera because the zoom ZenFone there is a camera with 3x optical zoom. A laser autofocus and optical image stabilization could still feature in the camera. A manual mode allows you make all the settings for the perfect mobile photography. For the case but more needs to be put on the table, prices start at only ZenFone zoom from 399 dollars.